Chapo Drops is a wild blend of black currants, pineapple, dragonfruit, and cranberry with cactus. Catch it now before it escapes! Available here in a 60/40 blend using nicotine salts (30mL). 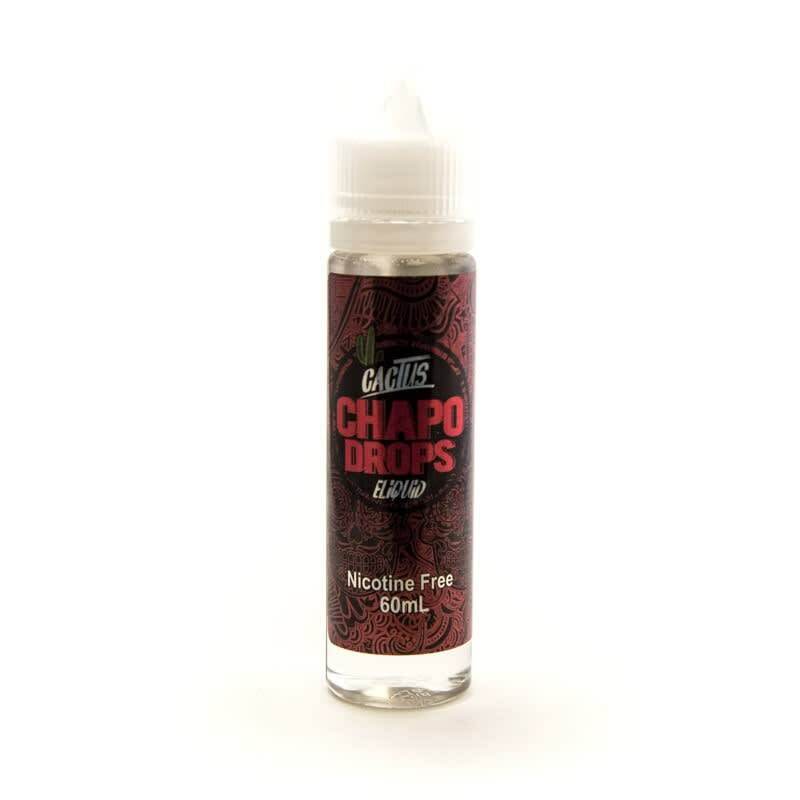 Chapo Drops is a fruity mix from the Cactus E-Juice line by Vlabs Liquids, blending black currants, pineapple, dragonfruit, and cranberry with cactus. This unique blend is so good it's nearly impossible to contain! Best out of the three for sure, easy on coils and its an all day vape. Have not tried anything like this before. The cactus is subtle and rounds out the entire flavour. Best of the three! It's a weird as scombo that I haven't tasted in any other juice. I'm currently running it in a Vandyvape Govad and I'm in heaven.